When I moved to France all those years ago I was more used to big dogs than small ones. 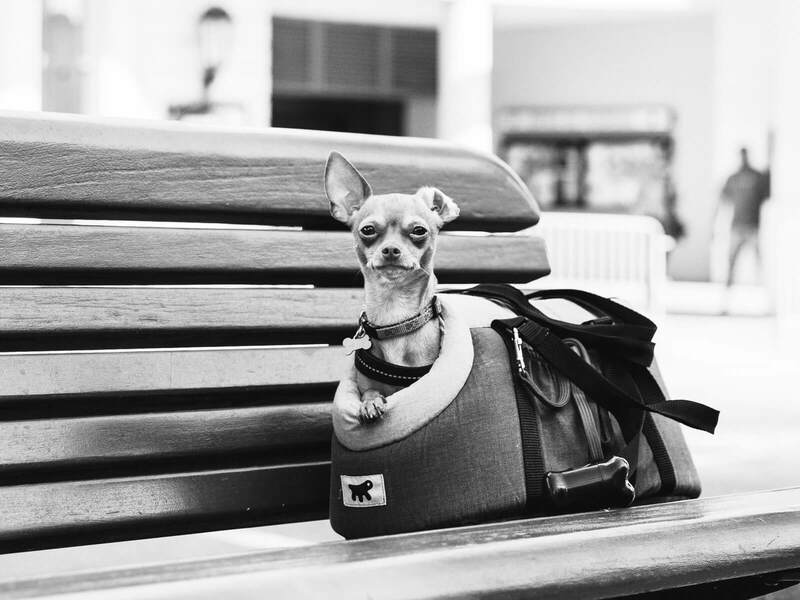 So it was a surprise to see little dogs carried in bags everywhere. I used to breed, exhibit and judge Old English Sheepdogs and they don’t get carried around in bags! 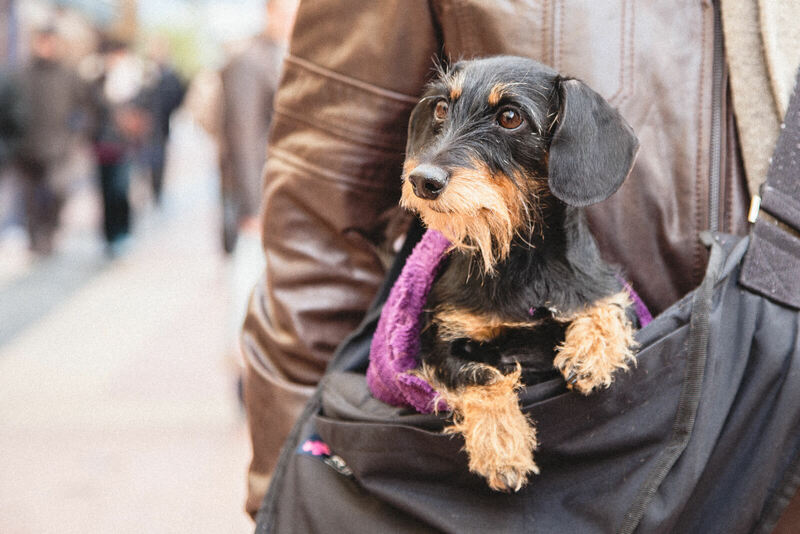 At first my reaction was ‘Oh no, let them be real dogs and run around,’ and I still think that but I do see the sense of putting a tiny dog in a bag in a busy city, a market place, anywhere with lots of people. The dog feels secure. 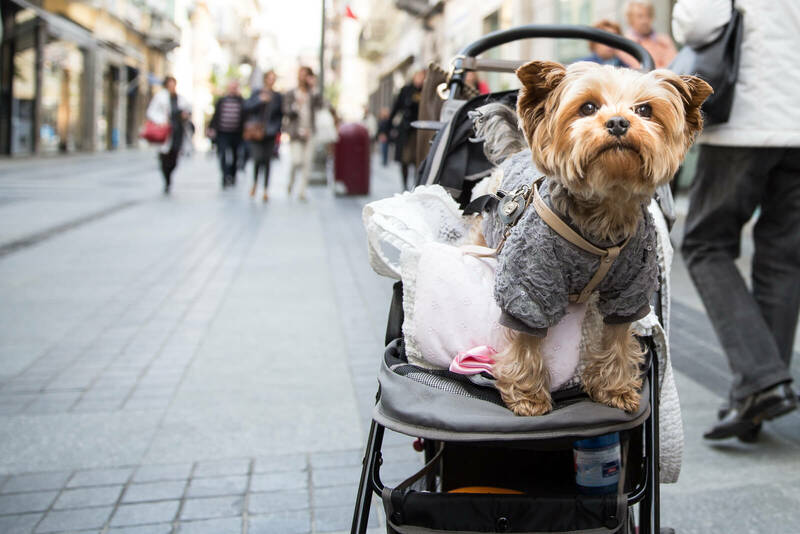 Dogs of course are allowed in most restaurants in France and Italy (so civilised) – so it’s easy to put a bag on the ground where your little toutou will be happy and safe. If it’s Monaco, of course, he or she will probably have a chair at the table next to you! 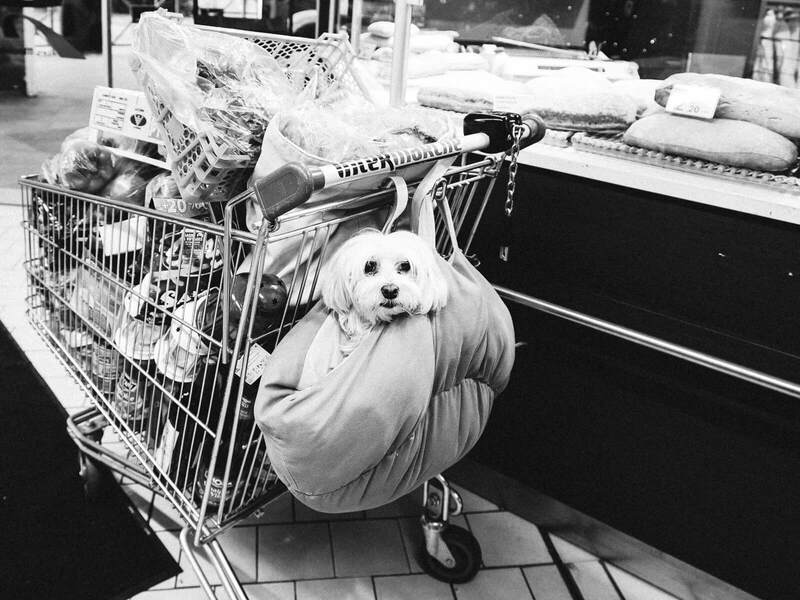 On the other hand dogs are not allowed in supermarkets in France but that never stopped anyone … look in the bottom of a shopping trolley and you’ll often see little Fifi happy in her bag, amongst the brie and the baguettes. And it’s not just bags – take a look …. 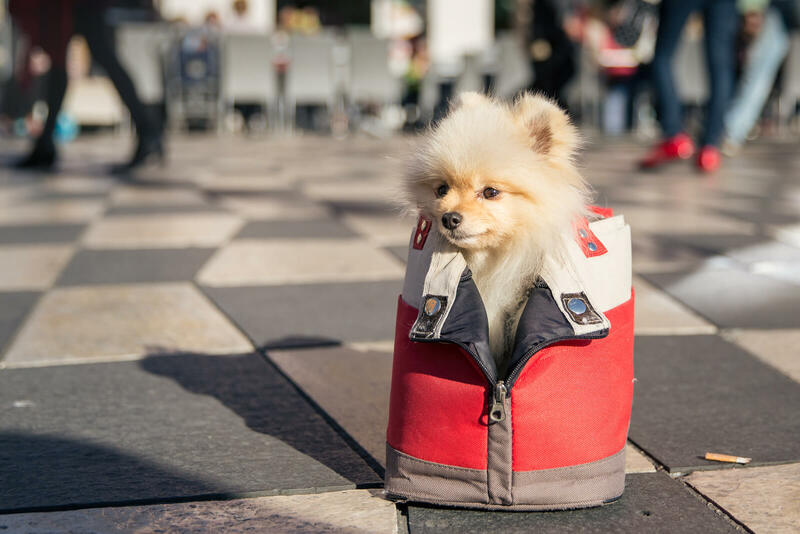 A dog carrier. Nice, France. A basket on a bike for one and the other hanging from a harness around Mama’s neck. Camporosso, Italy. In a doggy carriage with lace trimmed cushions. San Remo, Italy. In a shoulder bag. Menton, France. 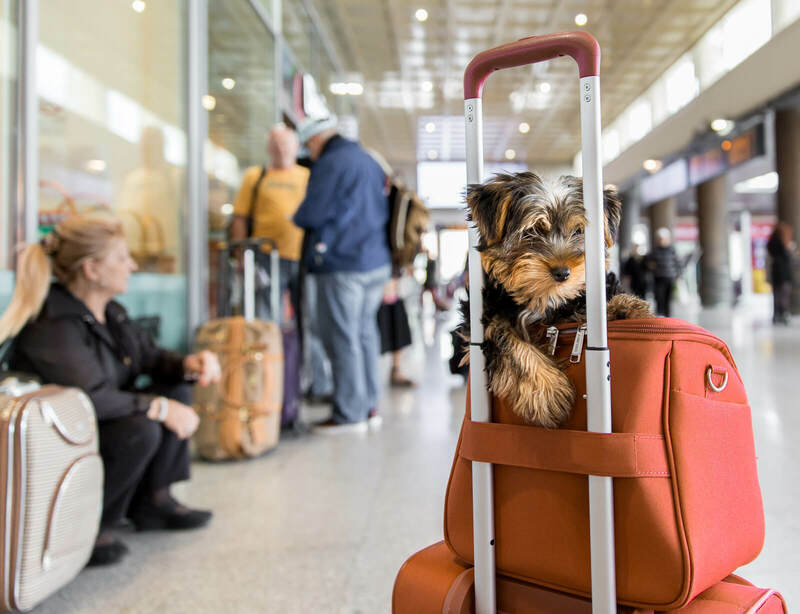 A doggy travel bag. Menton, France. Hanging from a supermarket trolley. Roquebrune-Cap-Martin, France. 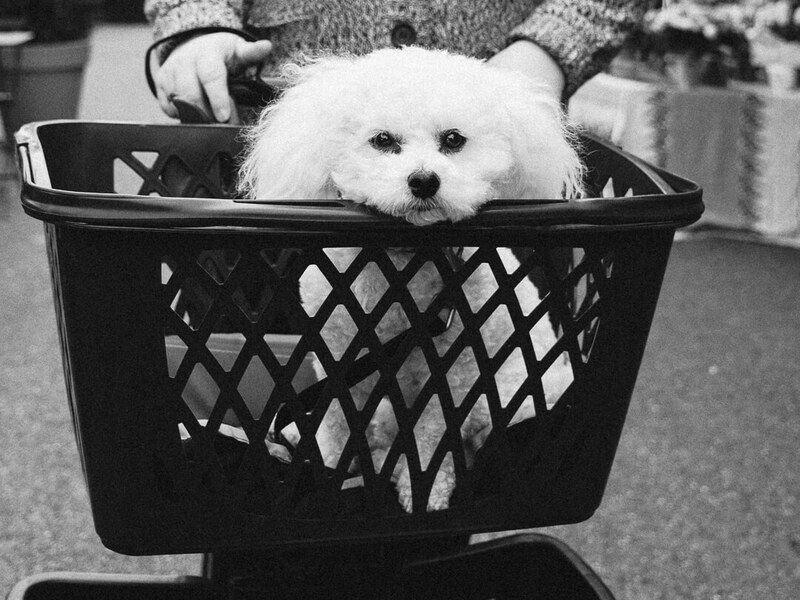 In a basket fixed to an old lady’s walker. Menton, France. 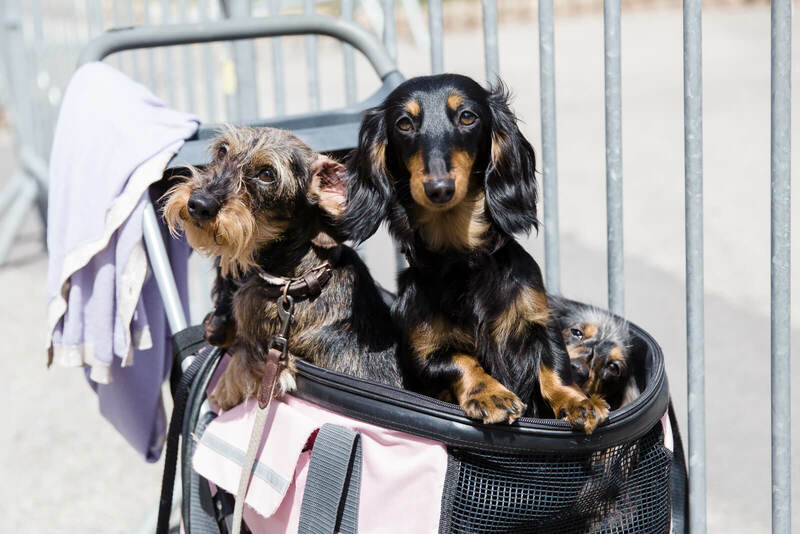 Show dogs in a doggy trolley. (there are 5 dachshunds in this trolley!) Monte Carlo, Monaco. Waiting for the plane. 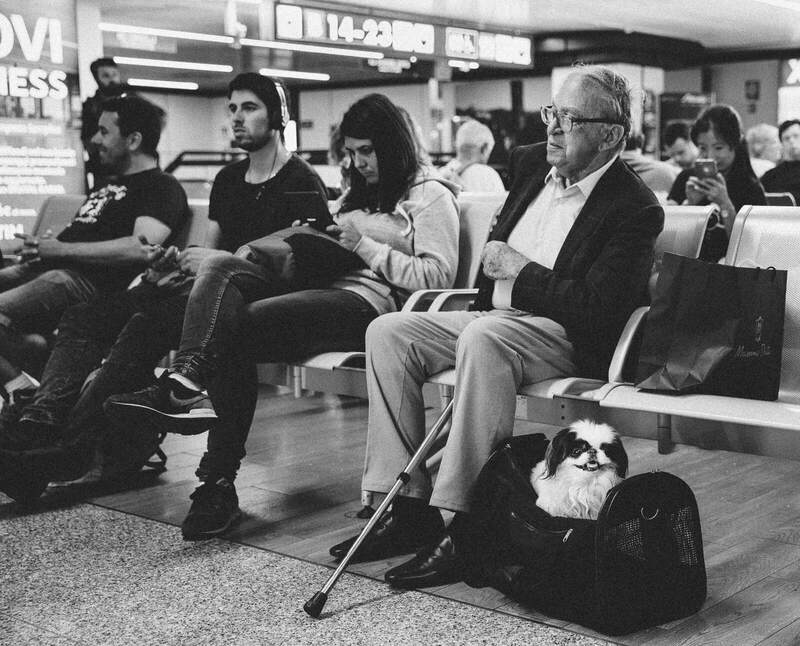 Rome airport. Waiting for the train. Venice railway station. 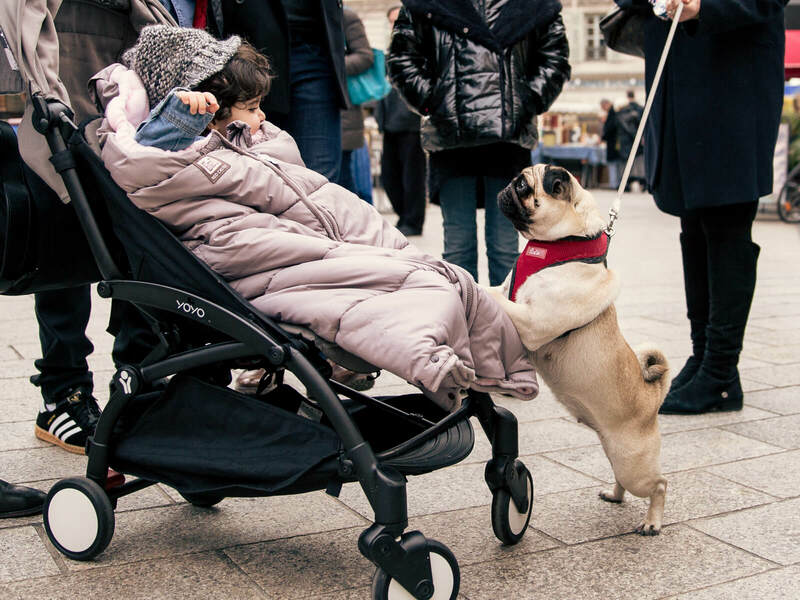 And this little pug wanted to get INTO the pram! Nice, France. Good to “hear” from you again ! When we stayed in Villefranche-sur-Mer, we came down to breakfast & were greated by a very happy little guy seated next to his lady at a table on the patio. His manners were perfect ! Such a delight to see these pics Jilly, thank you.Brings back so many memories of our two little poodles, one black and one white that you cared for over many years. I’ve been banished from Facebook for a bit (again), so haven’t been able to keep up there. Sorry to hear that William. Lovely photos, Jilly. You may remember Loulou being transported in the box on the back of my scooter and when we left for Colombia. whilst I had a bag for her, she actually walked onto the Iberia plane, much to the surprise of the cabin crew. She spent the entire 11 hour flight in her bag though, at my feet. The cabin crew regularly brought her ice cubes to lick on to avoid dehydration. So glad you like the idea, Sigi. You are not the first to say this. The idea being it’s just a chapter, but let’s see. Yes, what a lovely day we all had when we met the lady on the bike and then had that delicious lunch in Camporosso. Roll on summer…. So sorry, Melina, just saw your comment. Thanks so much for writing. A lot of spoiled dogs! Like ours! Such great photos. I live in Nice & have a dog, a jack Russell. He always goes to the bar or cafe with us. 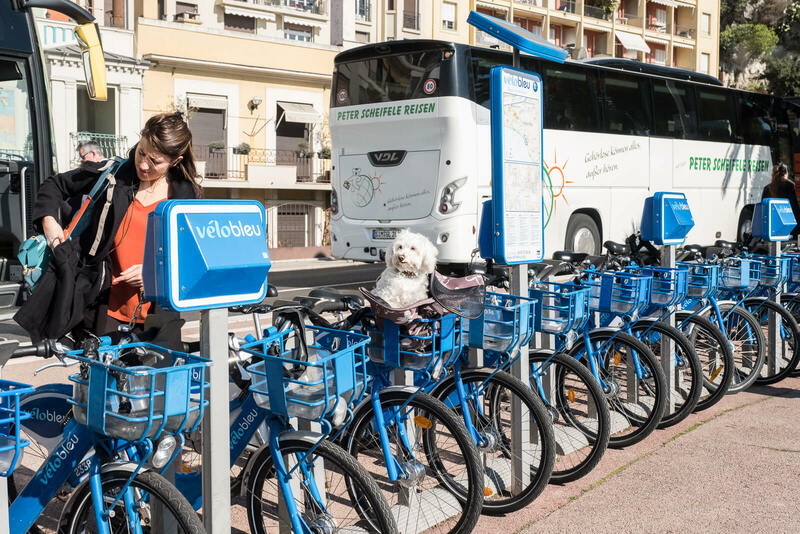 I think the Cote d’Azur is paradise for dogs. Thank you so much for this so adorable post. More than anything I love to photograph people. Every face tells a story, a moment captured on a camera tells a story. And that's always my aim - to tell a story, to share a feeling, an emotion. I love to photograph life as I see it around me here in the south of France, where I've lived for over twenty years. And if there's a dog in the photo, so much the better! I'm currently working on a photography book featuring dogs of France and Italy. Luckily, I speak fluent 'dog' - my favourite language. Keep up to date with regular posts on life in the south of France, dogs (of course!) and my journey in photography. Do click on the subscribe button! How do you say ‘sorry’ in ‘woof’ language? How many oranges and lemons to make Mary Poppins? The Ligurian village destroyed in the 1887 earthquake … and now!